A number of carpentry tools have been stolen in a burglary from a commercial premises. The theft occurred at a workshop on Main Street, Swarby between 4pm on Thursday and 10am the following morning. 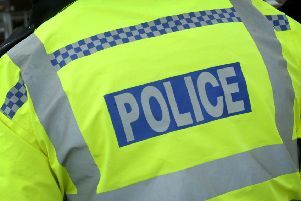 Sleaford Neighbourhood Policing Team are appealing for any information or anyone who saw anything suspicious in the Swarby area to contact Lincolnshire Police on 101 quoting incident 107 of 3/4/15.